Commonwealth is the senseless breaking of a perfectly nice mason jar, and then pausing, for hours, to inspect all the differently-shaped glittery pieces left. on the tile floor. I felt every sharp edge and ruined curve. 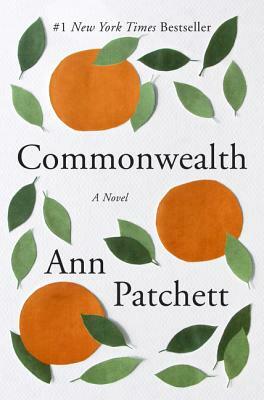 Patchett’s found a style and narrative that embraces her completely. Commonwealth reels you in from the first sentence. Don’t begin reading it on your front porch on a balmy southern day with a gentle rustling of leaves in the pecans while neighbors walk by and dogs bark and children call to each other in the distance like I did. Or you might find yourself pondering the import of those first twelve words ("The christening party took a turn when Albert Cousins arrived with gin") for an hour, caught up in their possibility, before you can even move on to the rest of the first paragraph. You sense the weight of what is coming and, yes, it does. This was my introduction to Ann Patchett and I wasn’t prepared for the way she makes a good story poignant and real and personal with her keen observations of everyday gestures and occurrences. I am now officially a convert to contemporary fiction. The humanity of the everyday men and women and children in this book, made more complicated because they are related, will move you. The structure of it, with each chapter telling the story of a family through the lens of one its members at various times in their history, isn’t clever--it’s perfection. This quiet but riveting tale feels honest and was a pleasure to read.